We’ve done our best to include those smaller competitors who are keen to compete, which is why we’ve put on two days of races to keep them busy. We’ll be holding a duathlon on Thursday for children aged 0 to 18. Then on Saturday there’ll be a 300m running race that even little ones are welcome to join in (even with a little bit of help from Mummy or Daddy and a push­chair!). 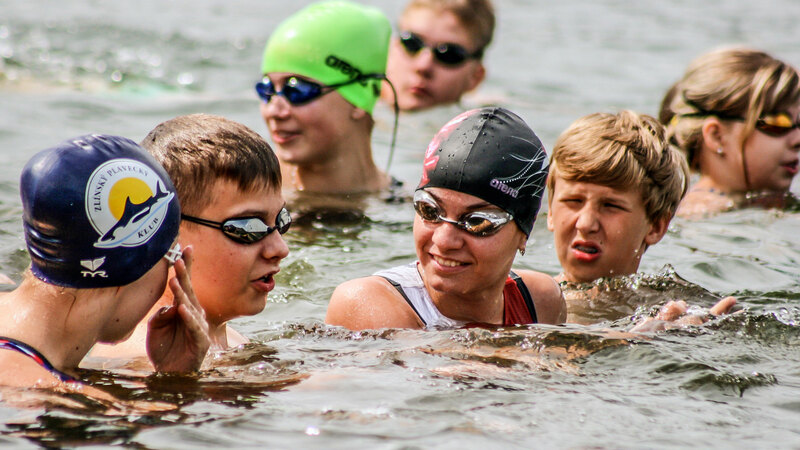 For older children there is a fully­fledged aquathlon race with a 100m swim and a 1km run. Those who don’t feel up to a swim are more than welcome to register just for the running part. duathlon starts on June 20 at 2:30 p.m.
300m running race on June 22 starts at 10:30 a.m.
swimming­running race on June 22 starts at 11:00 a.m.
All competitors compete at their own risk. Competitors must follow the organiser’s instructions. All children’s races are free. Registration can be made using the registration form for the main or relay race. Please use the registration form from the menu or feel free to also register on-site. The results will be announced after the race. A lovely modern hotel that’s situated a little further from the start than the others, but it’s definitely worth the extra distance! For those competitors who’d like to stay in style – About 20km from the start, complete with rehabilitation facilities for after the competition. A nice hotel about 1km from the start.